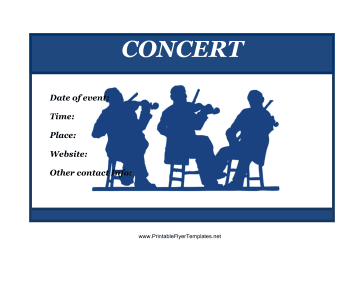 This simple flyer features silhouetted musicians in a calming navy blue. It has spaces for information related to the event, as well as a large title area. This flyer is sure to get the attention of music lovers.